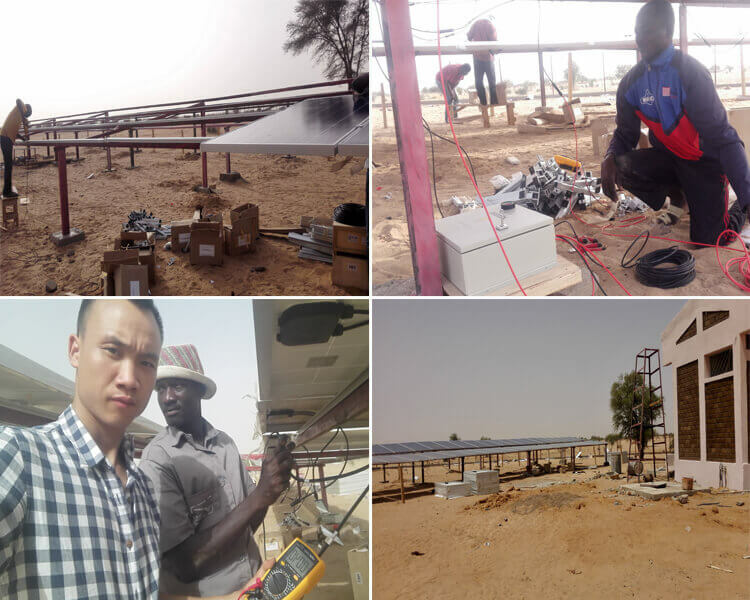 Renewable energy sources solar power system 30kw project installation in Chad, Africa. 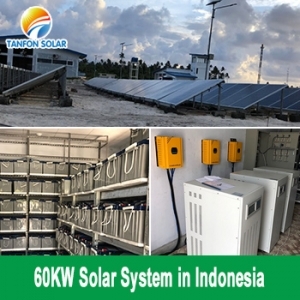 Our customer this project is about power supply for the house of military base land, there are six to seven houses. 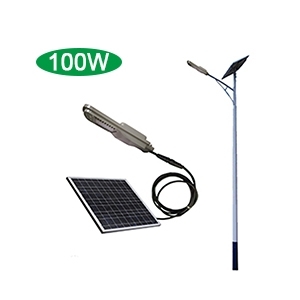 Because it is in the remote areas, there is no power supply from the national power grid station. 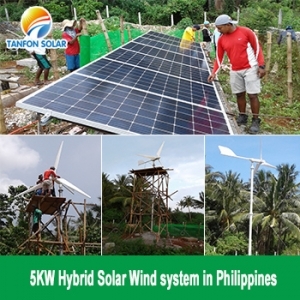 All household appliances rely on power generators and photovoltaic. 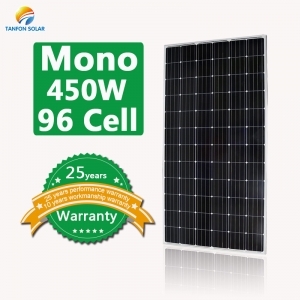 a) 96 pieces 320W mono solar panel. 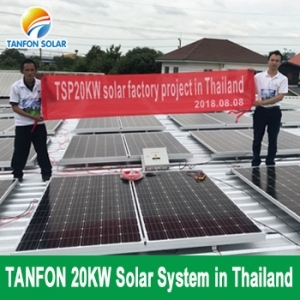 Installation way: 320W solar panel 96pcs, each 16pcs connect in series, 6 groups in parallel connect to H6T-384 PV combiner (six input one output), then connect to the controller(built-in the inverter). 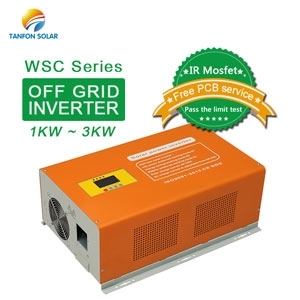 200Ah 12V gel battery 64pcs, 32pcs connect in series, 2 groups in parallel, then connect to the three phase inverter hybrid built-in controller. 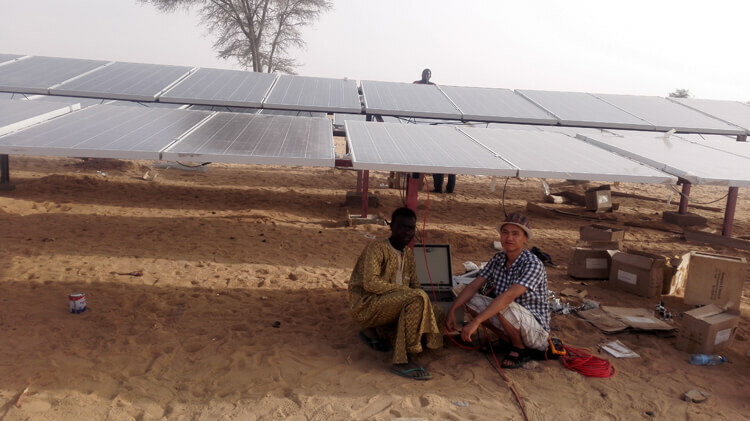 Our engineer went to Chad to guide the system installation. 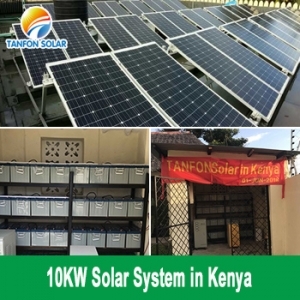 When arrived at the project installation, each part had not installed yet, batteries, solar panel, panel rack, inverter all have not been unpacked and were placed in the stock room. 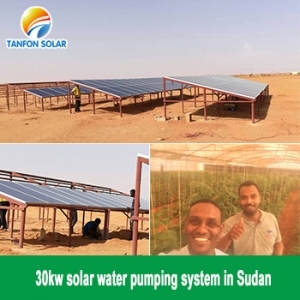 So our engineer and customer worked together to installed the solar panel. 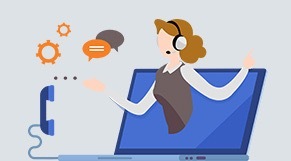 Outside is very hot, in the morning just can work 2 hours, the sunshine was very dry, very hot cannot work, so they have rest until afternoon nearset to dusk, then continue working. Because the appliances load is not complete, and the power supply system is incomplete, so in the everning can not work. 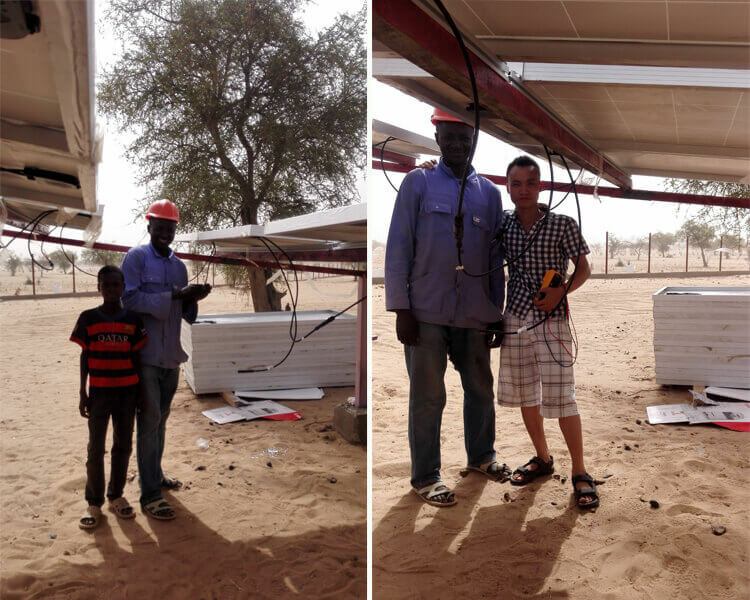 Firstly, 6 to 7 workers were arranged to start transporting solar panels and brackets. 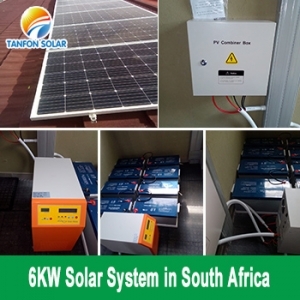 After fininshing mounting the solar panel brackets and solar panel, arranged the handling of the batteries and the main machine hybrid inverter. 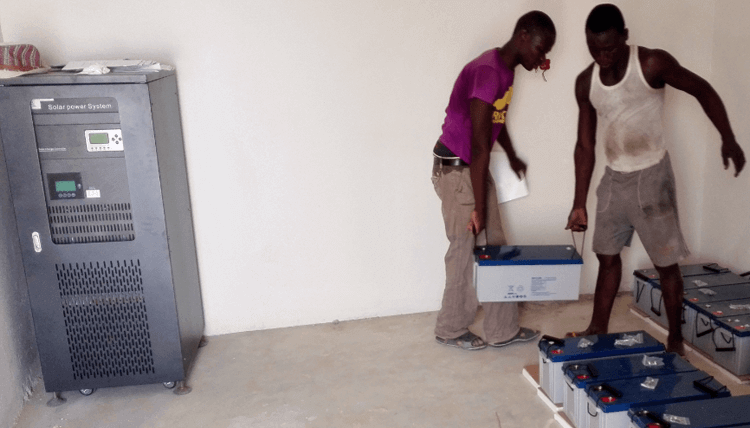 Then debug the lightning protection PV combiner box to the hybrid inverter charging. 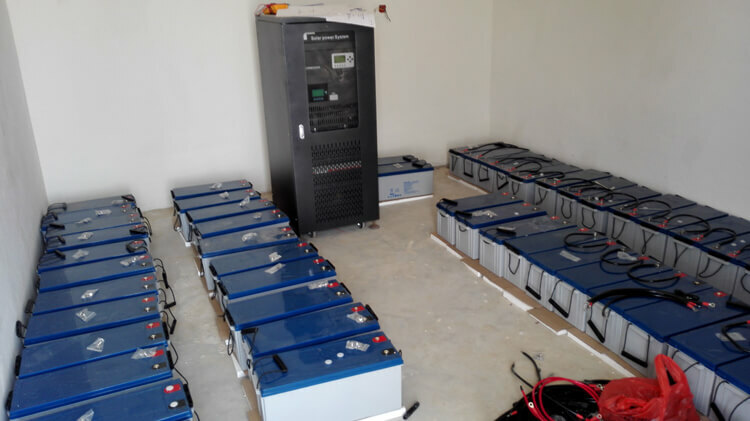 Batteries 384VDC connect to hybrid inverter for testing. After that testing the voltage is without any problem and the wire polarity is correct, then connect the appliances load to work. 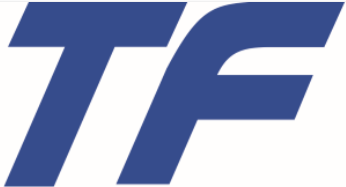 And everything goes well and normal. 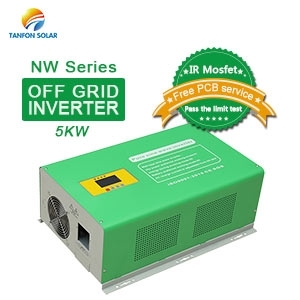 Finally, a 60KW three-phase power supply from the diesel generator was connected to the inverter as a bypass operation, and all work smoothly.